Winner: Daters’ Favourite Site – again! For the second year running, Christian Connection has walked away with the highly-coveted Daters’ Favourite Dating Site and Best Niche Dating Site at this year’s UK Dating Awards. Beating off strong competition from mainstream sites including Match.com, eHarmony, Guardian Soulmates and Zoosk; Christian Connection once again walked away with the highly-coveted Daters’ Favourite Dating Site at this year’s UK Dating Awards. 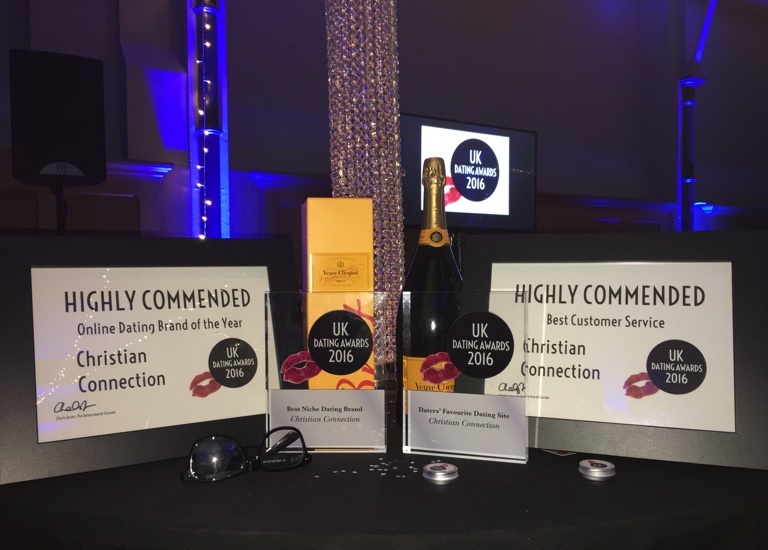 But if that wasn’t enough, Christian Connection went on to win another 3 awards, including Best Niche Dating Brand 2016 for the second year running; and was Highly Commended for Online Dating Brand Of The Year 2016 and Best Customer Service 2016. Christian Connection members flooded the award’s Facebook account with praise; with many sharing that they had met their partner on the site.